Our video of the week is this lovely little animated short film is by the Russian artist, Yulya Aronova. It talks about a boy telling people about his mother. This will surely put a smile on your face on this Monday morning. This entry was posted in Artists and Sellers, Videos and tagged Mother, My Mum is an Airplane, video, video of the week, Yulya Aronova on December 8, 2014 by Katrina Alana. 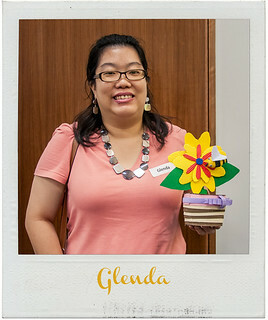 My name is Ella Zheng and I am a Singaporean Designer. I currently hold a BA (Hons) in both Fashion Design and Graphic Design. I am a designer who loves simplicity, clean layouts and type. I have found a new level of confidence and love for experimentation through my latest project, Destination: Play. Aside from that, I also enjoy churning out vector illustrations, zines, personal projects and making fun craft . 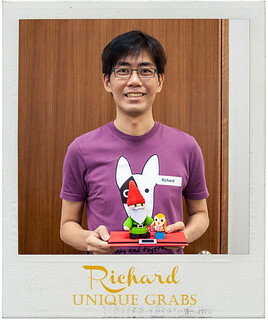 In the future, I hope to be able to nurture the Singaporean’s mindset towards design. 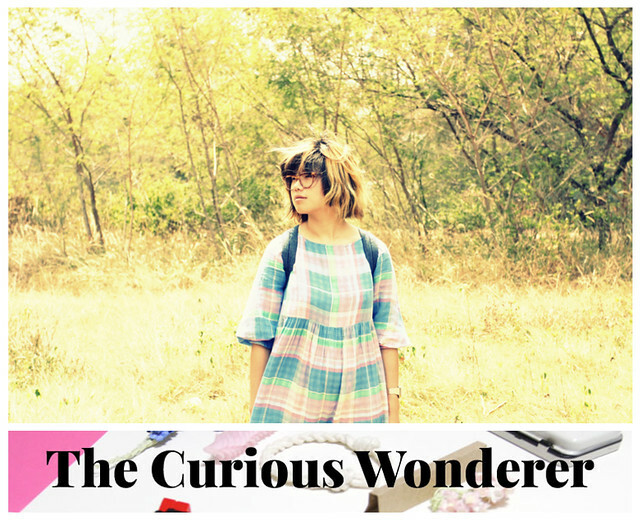 The products and philosophy behind The Curious Wonderer reflects my personality — constantly curious about things and how stuff works. I started doing vector illustrations after coming across many awesome works of art. 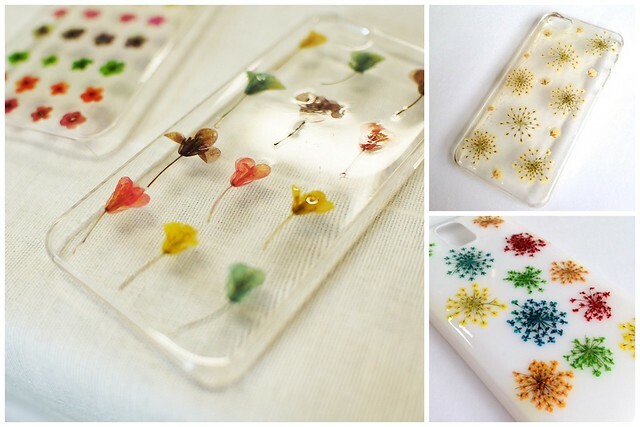 When I finally learned how to make them, I was overjoyed and never stop making since. My calling for craft came much later in life. 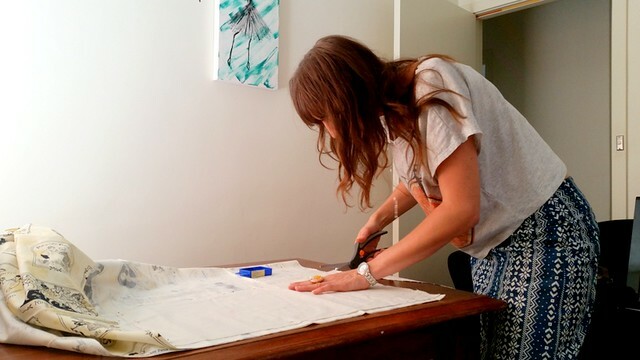 To me, crafting and “making things” are two different entities — the difference being that crafting is about refining what you make. 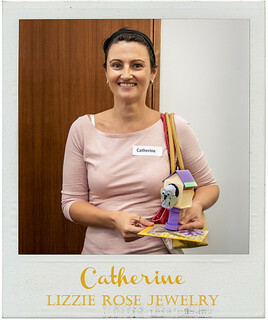 I wasn’t good at craft from the start, which sparked me to start the project, Destination: Play, to challenge and improve myself. 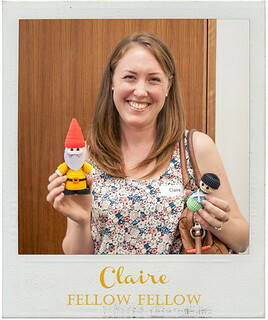 I make Destination: Play badges, Finder Keepers (my envelope books), paper poms, clay items and a colouring book filled with all my own illustrations that encourage children to create a story on the back page! 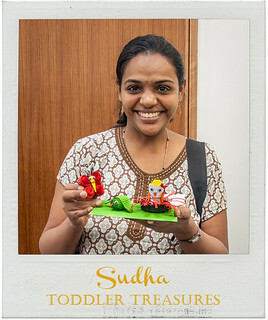 I like making and designing fun little objects, it brings a smile to people’s faces. 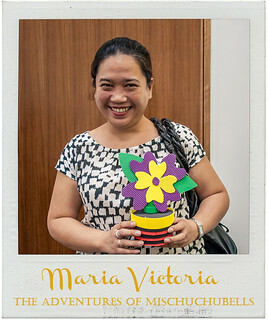 I like how design can make someone happy. I also like hacking an object’s function and making it into something else. 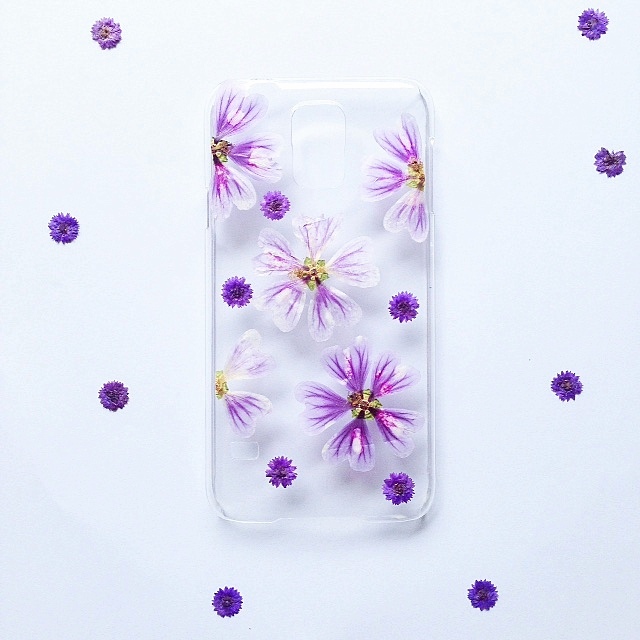 I want others to have fun with my products. 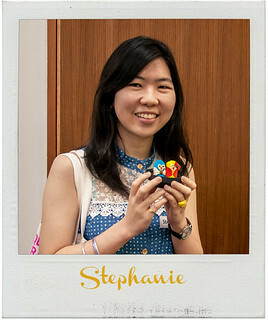 My favourite product is the Destination: Play Badges! They are very special to me. I did a project, Destination: Play. It is about stepping out of the comfort zone. 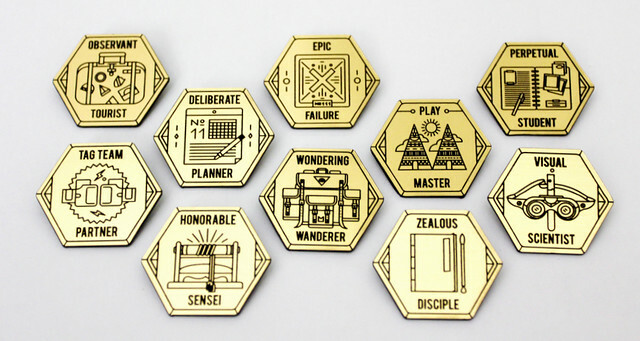 The badges were originally achievement badges, if you perform a specific task such as “Experiment with different materials in your designs”- you will be awarded the “Visual Scientist” badge. 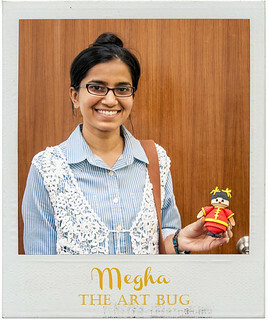 The idea behind the badges was inspired by the “Young Scientist Series” in my younger days, where you complete a certain science task and is awarded with a badge. The series is still available in store, individually and in a set of 10! I am a full time designer who loves to make things. I love Eat Drink Chic! I would like to also like to share my photo blog, Wandering with Ella (http://ellawanders.tumblr.com). I love exploring and there are many interesting places in Singapore, I have yet to discover. Everyone loves saying how boring Singapore is but I am sure they have yet to explore such places. I am showing another side of Singapore to everyone and I am enjoying every bit of it! 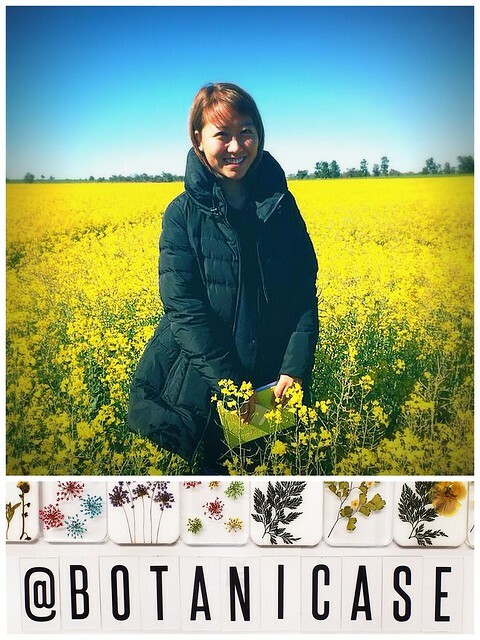 This entry was posted in Artists and Sellers and tagged badges, designer, Destination Play, Destination Play Badges, Ella is Weird, Ella Meisi, Ella Zheng, illustrator, interview, singapore, Singaporean, The Curious Wonderer on May 9, 2014 by Katrina Alana. Hi everyone! My name is Melissa and I am a jewelry artist from Dare to Charm. I have an obsession for bunnies and like to collect anything photos of bunnies on it. In fact, I have two very adorable Holland Lop rabbits at home. I had them since they were babies and now they are now two and a half years old. In my spare time, I also like to explore the town to scout for new chocolate or desserts shops. Chocolate is my sinful indulgence. I am been known to be a very daring person when I’m among my friends. The word “Dare” conveys a strong and majestic feel for me. In my opinion, we have to be daring to pursue our passion. I started my business by selling handmade jewelry charms so that’s where “Charm” comes from. 3. What got you into jewelry? Since I was a little girl, I liked to create and draw stuff. Whether it’s a handmade tissue box or hand-drawn postcard, I was always trying out new art forms. I found myself selling my own creations to friends since I was 10 years old. In college, I decided to take a jewelry design course. Looking back, it was a very unusual choice for me since it was a spur of the moment decision. 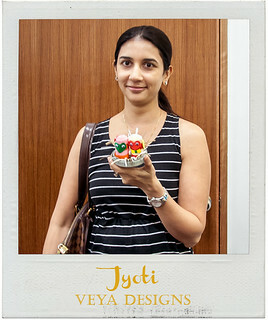 In the end, it turned out that I really loved it and I really enjoyed the course. I got to know great mentors, meet friends with the same passion and this decision brought me closer to discovering my real craft. 4. What do you make and where do you get your inspiration? I make gemstones carving out of jewelry featuring mainly animal designs. I have always admired the ethnic art and murals from early civilizations and take my inspiration from Greek and Indonesian influences. In Greek mythology, I’ve always been captivated by the Centaur, Medusa, Chimera, and the like. In Indonesian culture, the stories about Hanuman the monkey has always fascinated me. As time goes by, I would like to explore creating bigger jewelry as statement body adornment inspired by these concepts. My favorite piece was the one I created back in school. My school project was titled “SMOKE” and it was a headgear. I created every single detail in that statement piece by hand, from binding every twig to the sterling silver finishing. It was made with recycled tree branches, light bulbs, candle gel and 925K silver wire. This piece also had a meaningful message behind it. It was a campaign to encourage people to stop smoking. It is a very sentimental piece for me. I have watched people around me, who are either the passive or active smokers, fall sick from the effects of smoking or even have had to say goodbye to some as they have departed from this world. The piece is now in private collection in Indonesia. 6. Are you a full time artist? I am a full time artist working on my jewelry collection. One of the causes I champion is animal conservation regardless if the species is endangered or not. I want my jewelry to become a voice to speak for this issue. In fact, I am a volunteer with Singapore Zoo as a docent and if you are at the Singapore Zoo and spot me at the docent station feel free to come over and say hi. 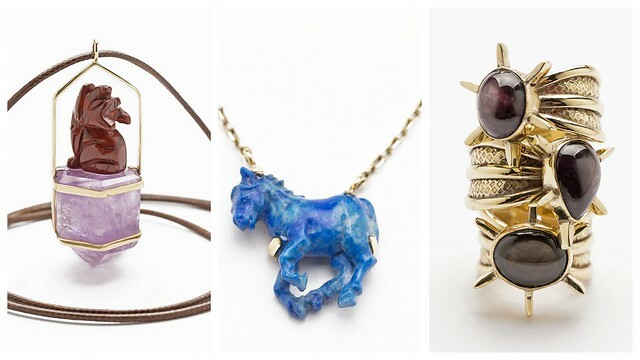 My favorite source of inspiration is the blog, Jewels Du Jour. This site reviews high-end jewellery. I have always fascinated with colored gemstones and this is a great site to indulge in looking at their beautiful creations. 8. Do you have any discount codes or promotions that you can offer our readers? Sure we do! 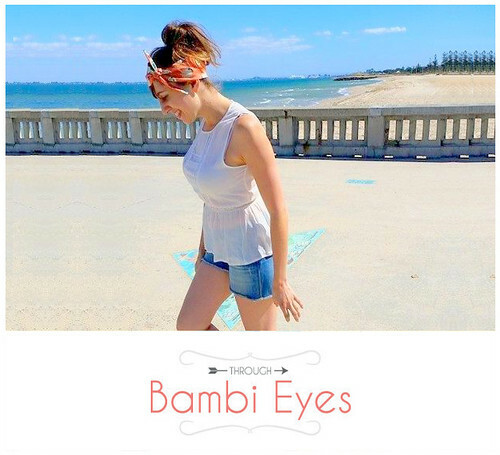 Enter discount code KAT10 when you checkout for 10% off your purchase from now until 31 March 2014. 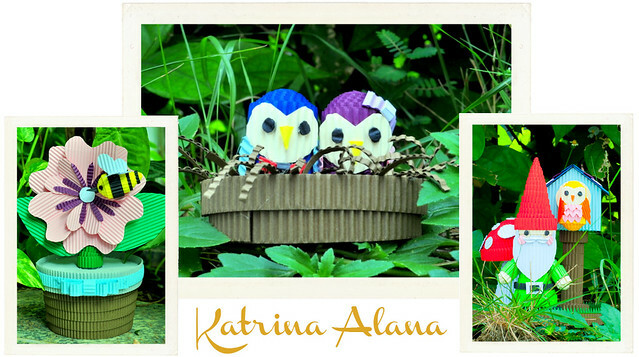 This entry was posted in Artists and Sellers and tagged artist, blog, Dare To Charm, designer, Indonesia, Indonesian, interview, jewelry, Melissa, Melissa Juwono, singapore on February 19, 2014 by Katrina Alana. 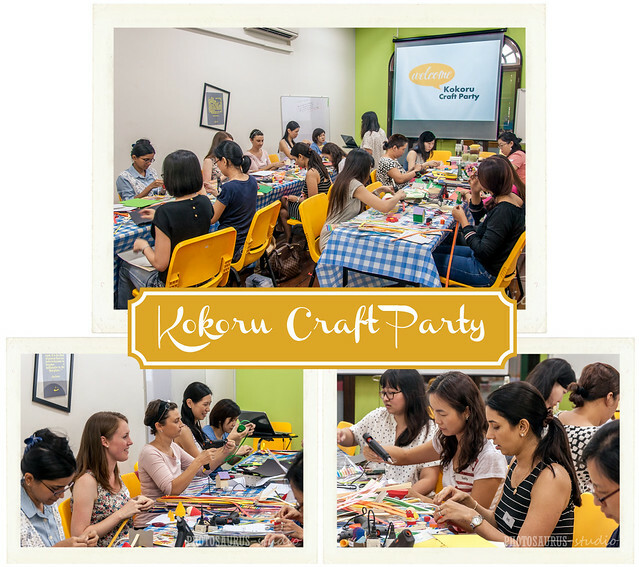 We had a free craft party sponsored by Kokoru last Saturday at The Office in Chinatown. 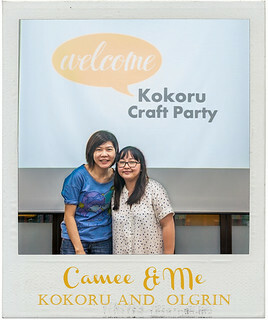 We partnered with Crafty Singapore and invited team members and people we’ve met online to join the event. Camee represented Olgrin and Kokoru. She was there to help us with the event. It was nice to chat and catch up with old friends and finally meet some people we’ve met online in person. 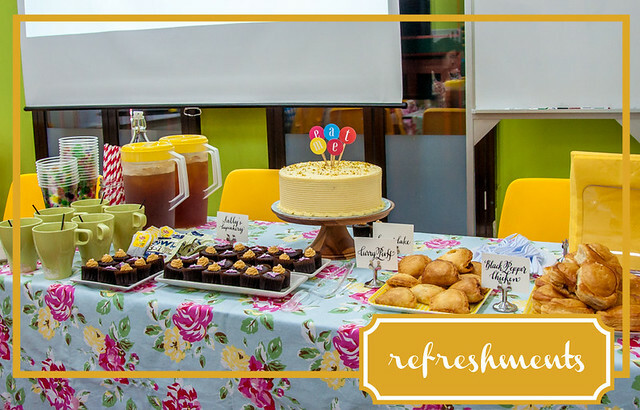 Two hours seems like such a short time for crafting and having refreshments. 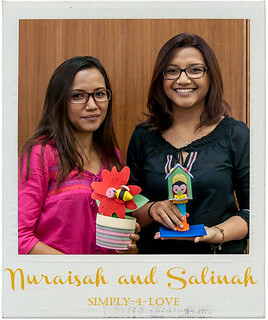 I didn’t manage to make a papercraft since we we so busy going around and assisting the participants. We provided some templates for the designs I made a few months ago but I need to refine them more. These are some of the Kokoru papercrafts made during the craft party. We’d also like to thank Sally for bringing cupcakes. 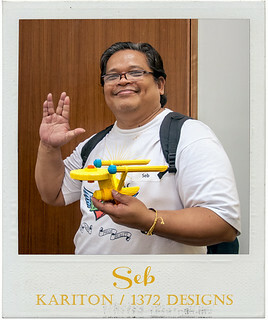 Thanks to Photosaurus Studio for the pictures. 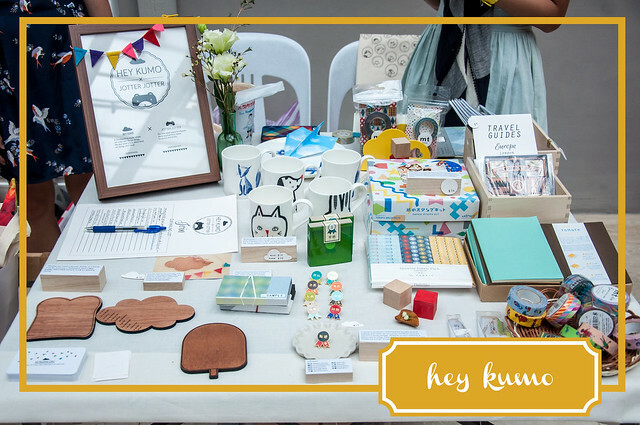 If you would like to make your own creations, Kokoru products can be purchased at Evergreen outlets throughout Singapore. This entry was posted in Artists and Sellers, Events and tagged 1372 Designs, Angel Hearts Crafts, Angelhearts Crafts, Audrey, blogger, byTheArtBug, Catherine, chic noir, Claire, craft party, crafter, Crafty Singapore, Dare To Charm, DareToCharm, Design. Chic Noir Design, Elle, Fellow Fellow, Glenda, Happy Hands Project, HappyHandsProject, Joyce, Jyoti, Kariton, Katrina, katrina alana, katrinaalana, Kokoru, Kokoru Craft Party, Lex, Lizzie Rose Jewellery, Lizzie Rose Jewelry, Lizzierose Jewellery, Lizzierose Jewelry, lizzierosejewelry, Mags Beads Creation, Magsbeads Creation, Megha, Melani, Melissa, Nuraisah, Pauline, Photosaurus, Photosaurus Studio, Richard, Salinah, sally, Sally's Cupcakery, sallyhskim, Seb, Simply-4-Love, Simply4Love, Stephanie, studio, Sudha, The Art Bug, The Office, TheArtBug, Toddler Treasures, Unique Grabs, UniqueGrabs, Veya Designs, Veyadesigns on October 3, 2013 by Katrina Alana. 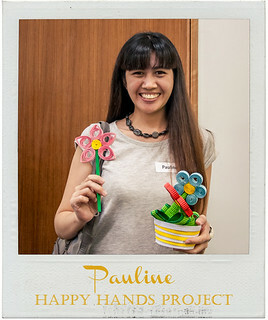 Pauline is professional graphic designer and calligrapher. 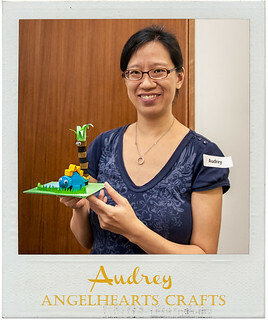 She got third place in the Crafty Singapore Foxy Mascot contest. 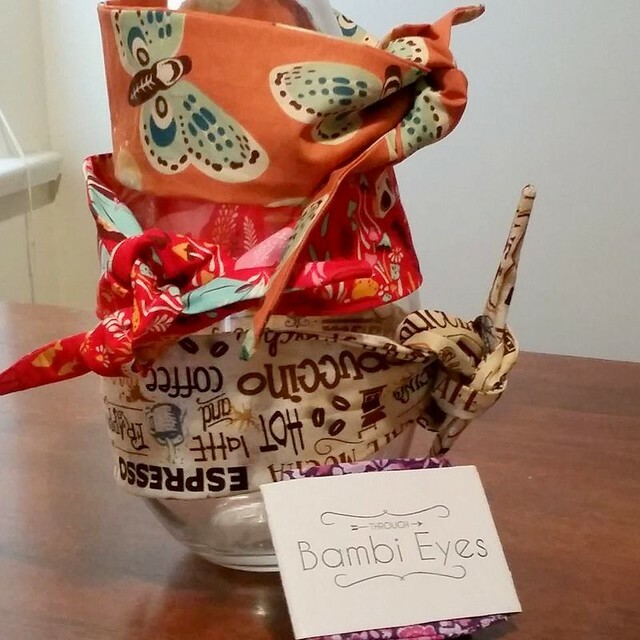 One of her prizes is a $25 voucher from our shop and she chose to redeem our wax seal set and baker’s twine. 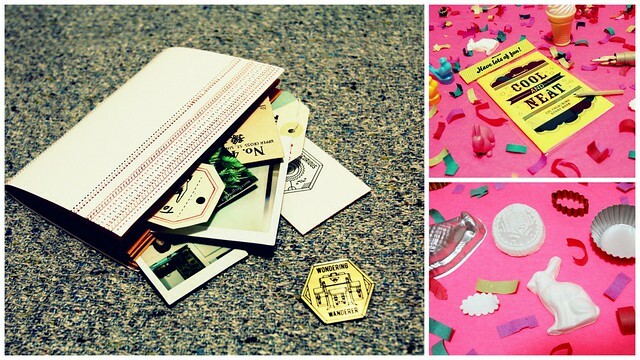 Hop on over to Happy Hands Project to read more about her wax seal project and check out her work. This entry was posted in Artists and Sellers, Thoughts and Messages and tagged bakers twine, calligraphy, Crafty Singapore, design, Foxy Mascot Contest, Happy Hands, Happy Hands Project, lettering, Pauline, singapore, twine, Wax Seal, Wax Stick on June 13, 2013 by Katrina Alana. Hi everyone, my name is Euginia and I have written two books of poetry entitled “Songs About Girls” and “Playing Pretty” respectively. I am working on a third collection which will hopefully be out by 2014. 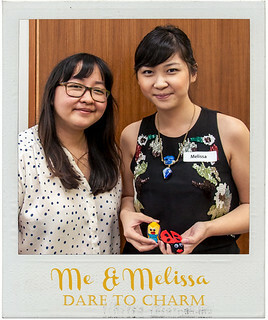 I am also a youth and woman advocate for mental health issues in Singapore. 2. How did you come up with the names of your books? I came up with the names of my two books as I was inspired by women – all aspects of it; being a wife/daughter/mother, being a breadwinner, trying to be beautiful for people, trying to keep yourself together in spite of all the challenges one faces as a female, coming out as a grown adult… etc. Different women inspire me every day. A lot of my poems are based on my experiences being a girl and growing into a woman. 3. What got you into writing? I think writing (especially in the self publishing route) has been confined to mainly online portals these days, and not many young people want to maintain/preserve old traditions. Great work, especially writing, should be passed down and books should never go obsolete. I was tired of seeing everybody so obsessed with instant social media and that is why I decided to self publish my books. I received a lot of criticism for it though, such that poetry is dying and that more people are looking to online applications such as e-books, and this is precisely why I want to do more of this so that future generations (and my future children or grandchildren) will not be unaware of books and literature. I like selling my books personally outside rather than simply online because I get to meet people who then ask me questions and tell me stories about their own lives. I think that being a genuine person shows and people can see this when I talk to them face to face, so I prefer this outlet. 4. What do you write? I write poetry because contrary to what a lot of people think, poems carry a lot of weight in them although they can be very short. As a poet I have learnt to say everything succinctly such that each individual word carries as much value as ten sentences. This is a gift that I try to apply to in my daily life – of doing something small, but of worth and that can endure the test of time. 5. Where do you sell your books? 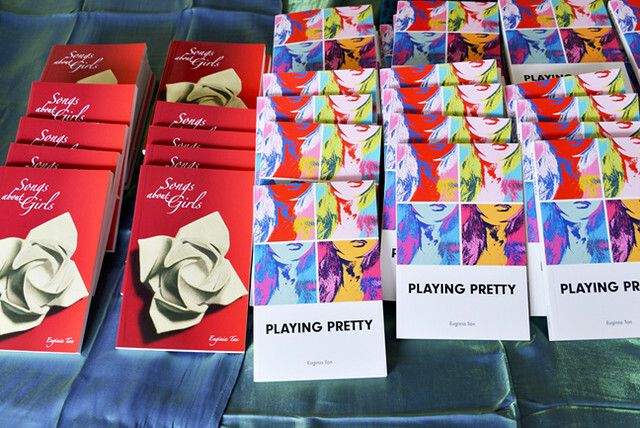 I try to sell my books almost every month at the Public Garden events which are usually held at the National Museum. Do catch me there! These books are also available for sale at a cafe called Old School Delights in Upper Thomson Road. Do check them out over there as well. Alternatively you can email me at eugtan@hotmail.com and I will be happy to mail the books out to you. 6. Are you a full writer? If not would you like to be? I do write full time – but I have other things that keep me occupied too such as my tertiary education and freelance work I do for people now and then. I encourage everyone out there with a passion for being an artist to step out and make an attempt to let it be your life, but you must never forget equal combinations of drive and discipline. I write and post interesting pictures on my personal website. The HeartThrob Project movement has been very supportive of featuring work from local artists and anyone who just wants a platform to share their talent. 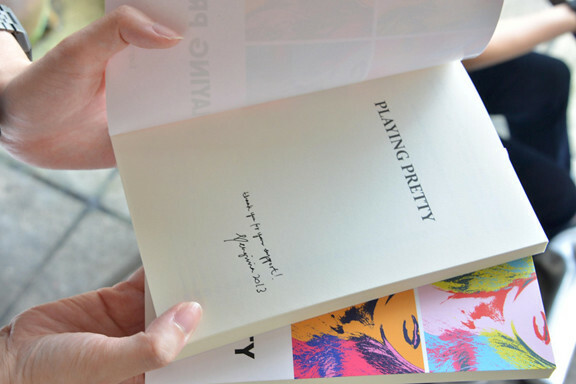 “Songs About Girls” is currently sold for SGD $15 and “Playing Pretty” is going for SGD $18. 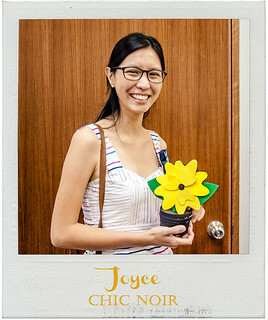 This entry was posted in Artists and Sellers and tagged author, book, books, Eugenia, Eugenia Tan, euginia, euginia tan, euginiatanyj, farkmepumps, HeartThrob Project, interview, Old School Delights, Playing Pretty, poet, public garden, Songs about Girls, Upper Thomson on May 26, 2013 by Katrina Alana. 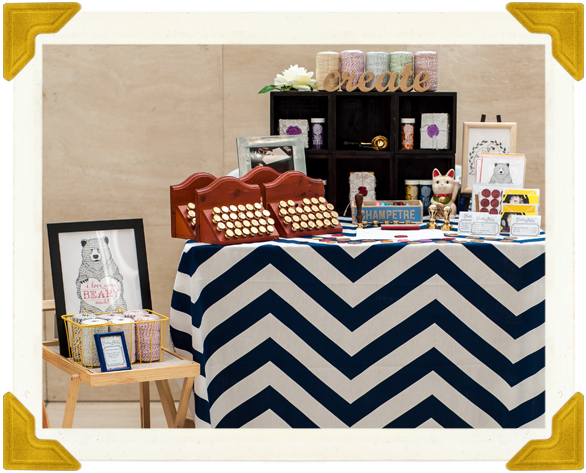 We joined the flea market organized by Public Garden at the National Museum last February and we had a great time. 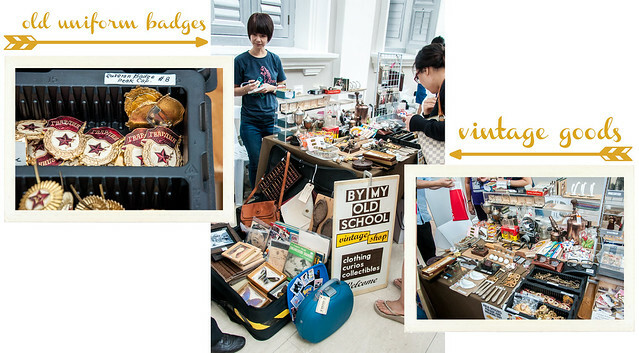 The museum has always been one of our favorite places in Singapore and we go there often so we were excited when we got the invitation to participate as a seller at that venue. Just as expected, the light was great and the AC was cool. This made selling on a weekend very pleasant. As usual, Public Garden has a great selection of sellers and they always have vendors who sell food and drinks which is a godsend to the participating vendors. 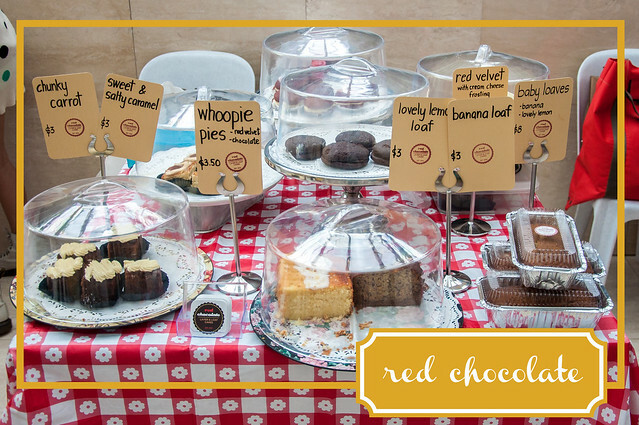 We didn’t manage to eat before going to the museum and so we sampled all the baked goodies. 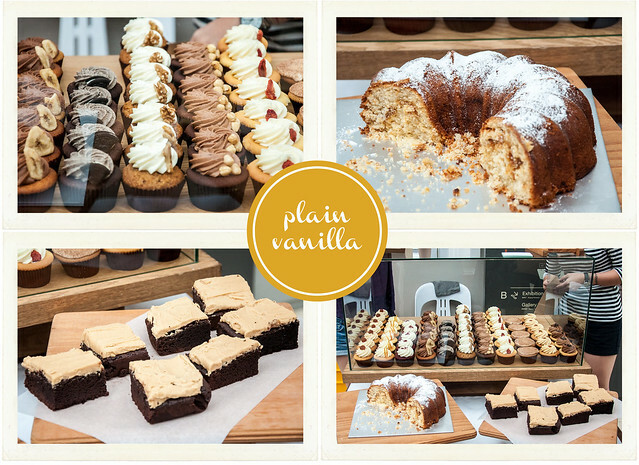 We bought several cupcakes from Plain Vanilla and I really loved the red velvet cupcakes. 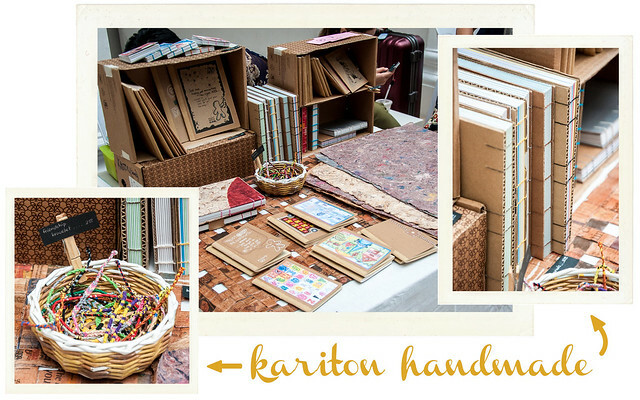 There were handmade notebooks from Kariton by 1372 Designs made by Ruby and Seb. 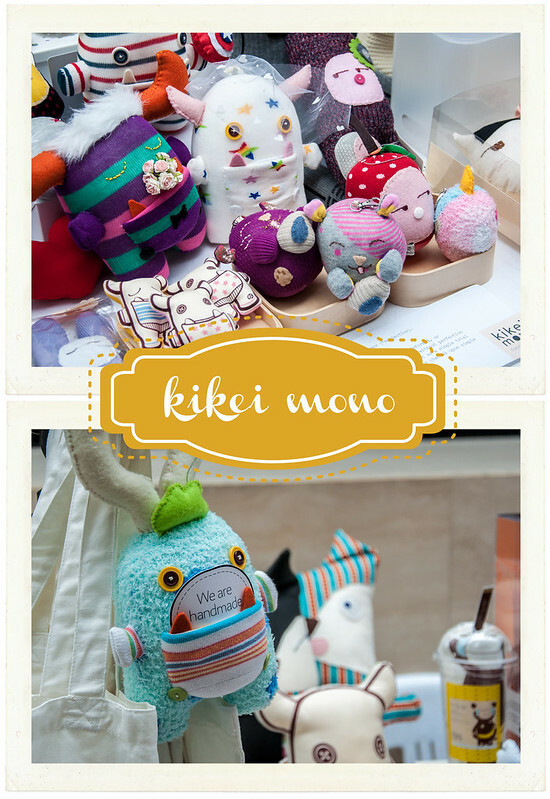 Kikei Mono sold these adorable little monsters. Would you believe these are made from socks? By My Old School was selling vintage items. These old Russian badges caught my eye. 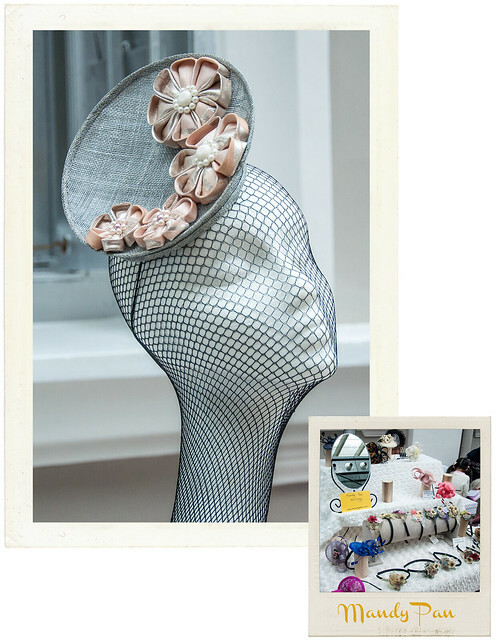 This gorgeous hat by Mandy Pan really stood out from the rest of her display. If I had a great garden party to attend in the next few months I would have snagged this. Hey Kumo had these cool travel guides. They had great graphics on the covers and I would have loved to browse their items more if I had the time to. As usual there were several jewelry sellers with unique goods like Strangely Yours and By Invite Only. 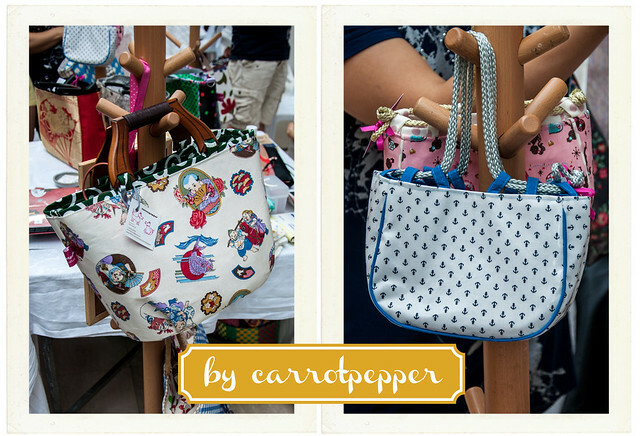 I love the bags that Irene from Carrot Pepper makes. The cute fabric and great form makes for a great statement. 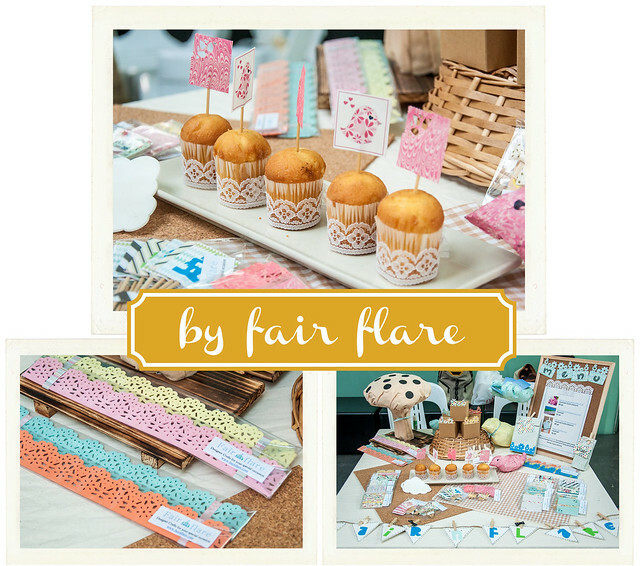 Fair Flare sold party goods. I haven’t seen stuff like these sold here in Singapore. I’m definitely bookmarking their shop for future party styling. 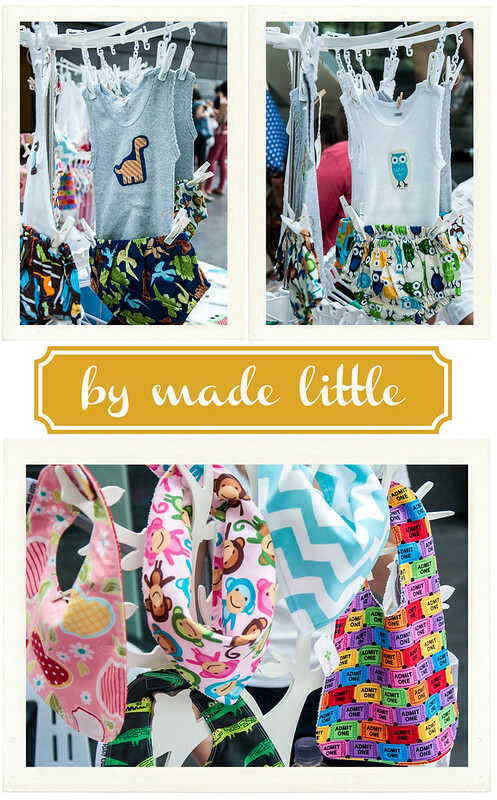 Made Little sold these cute kids clothes and bibs. If we had a little ones we would have grabbed a few of these outfits. 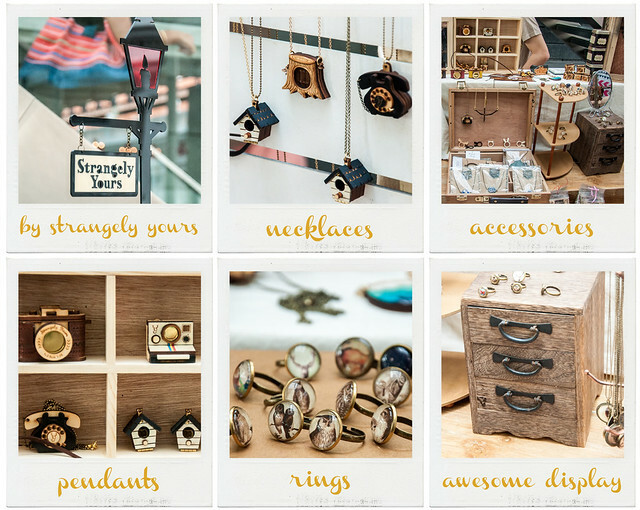 As you can clearly see there are lots of cool vendors selling great items. 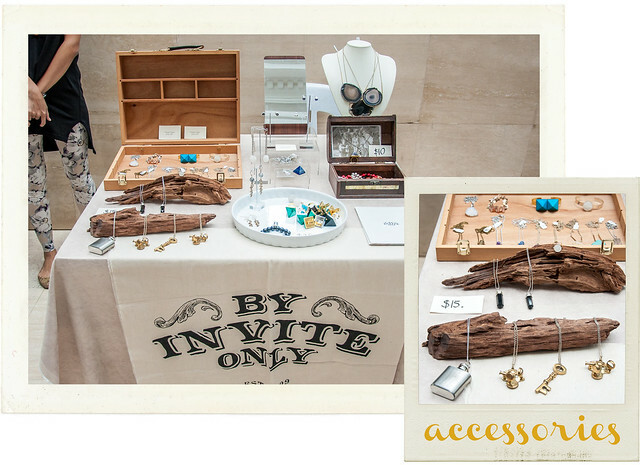 We bought several items throughout the day and hopefully when you visit fairs and bazaars you are inspired to support these artists and small businesses. This entry was posted in Artists and Sellers and tagged 1372 Designs, bag, bridgette's, brigette, By Invite Only, By MY Old School, carrot, CarrotPepper, clothes, Fair Flare, felties, handmade, Hey Kumo, Janet Chui, jewelry, jotter jotter, Kariton, Kariton by 1372 Designs, kawaii, kids, Kikei Mono, L attitude One Degree, L'attitude One Degree, little shop, Made Little, Mags Beads Creation, Mandy Pan, Mayke Me, MaykeMe, National Museum, notebook, notebooks, PapyPress, party, pastry, Pattern Rollers, pepper, Plain Vanilla, public garden, Qiqi, Red Chocolate, Saught, shop, singapore, socks, stationery, Strangely Yours, stuffed toys, supplies, vintage, Yen Painting. Yen Paintings on March 23, 2013 by Katrina Alana. One of the things I would love to have is a couple’s portrait hanging in our room. I prefer having a painting done but any original art will do. I was lucky enough to come across Fabulous Noble. This site is like a middle man between you and the artist. You just have to answer a questionnaire and send a photo to receive a quote. Prices start at £400 for a single portrait. I really love the work of Alessandro Pautasso with these abstract geometric shapes in bright colors. I better start saving so I can get this by next Christmas. My other favorites from this site are Antoinette Fleur (left) and Philip Dennis (right). Which one is your favorite? This entry was posted in Artists and Sellers and tagged Alessandro Pautasso, Antoinette Fleur, Fabulous Noble, Philip Dennis, portrait, Portraits on December 5, 2012 by Katrina Alana.